This game is perfect for a math station when your students are learning multiplication. 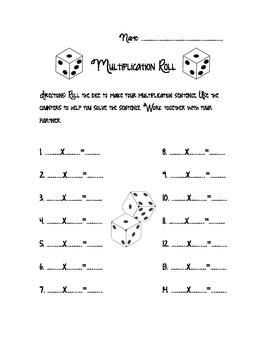 Have the students roll dice to form multiplication sentences. Have counters available for them to use to find the products.